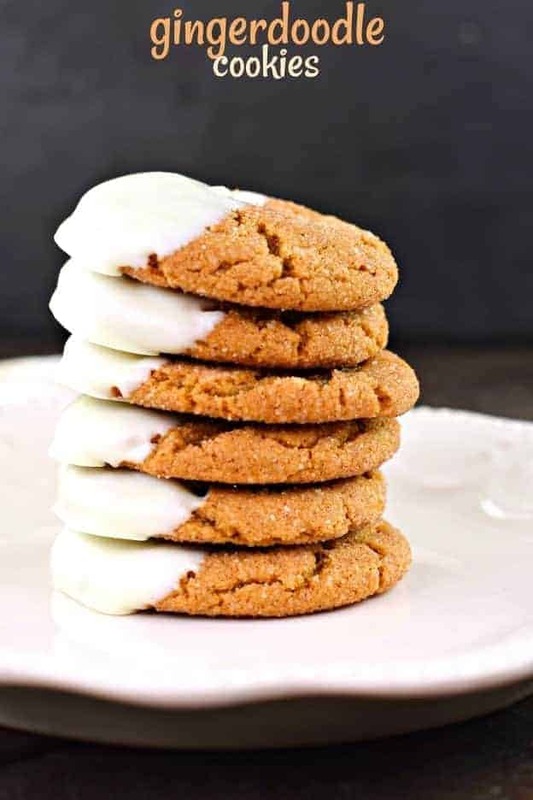 Gingerdoodle Cookies are chewy, soft cookies that taste like a cross between a gingersnap and a snickerdoodle. 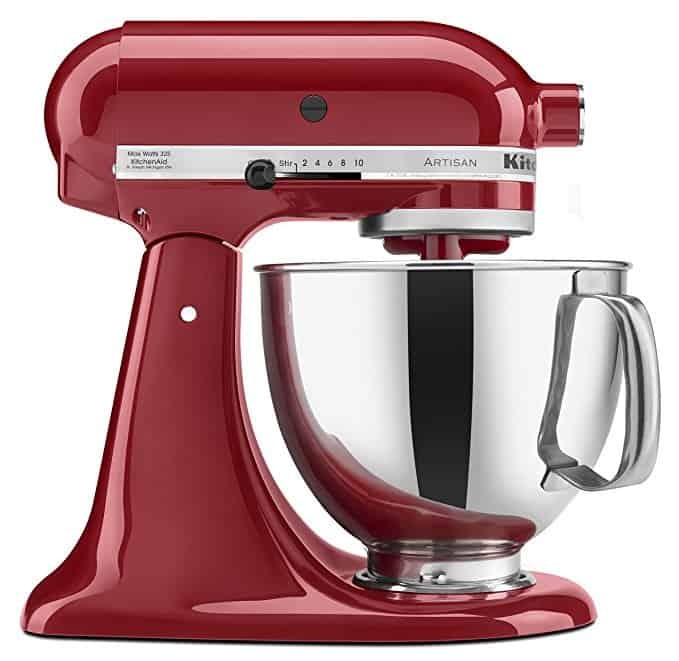 Add this to your baking list ASAP! 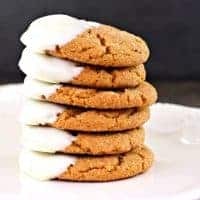 You’ll love the texture of the cookies, but more importantly the molasses flavor with the cinnamon, ginger, and cloves is irresistible! 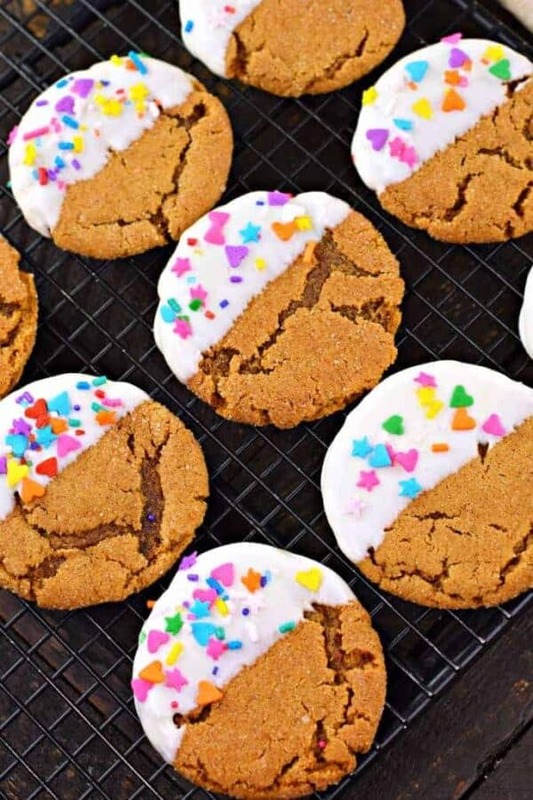 I just can’t wait another day to share this recipe for Gingerdoodle Cookies. You may first be asking yourself, what are gingerdoodle cookies? 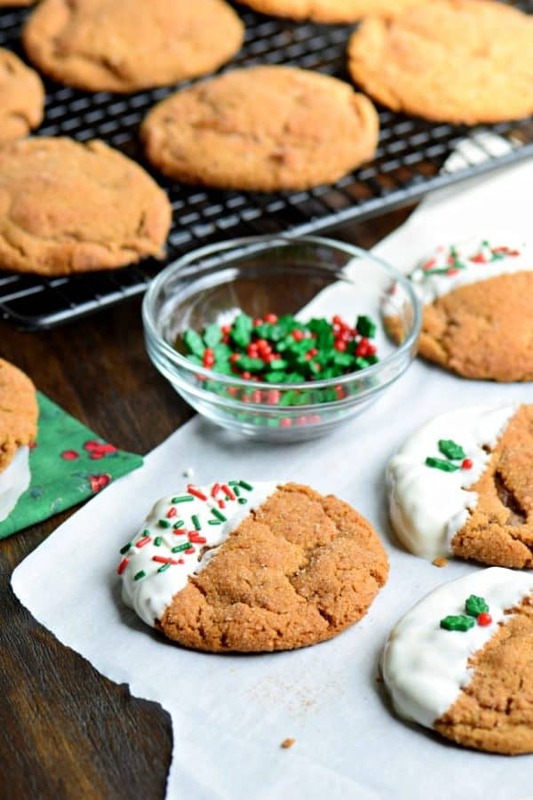 Perhaps this will help…imagine a chewy gingersnap cookie combined with a soft snickerdoodle. Then dunk it in white chocolate. OMG these are seriously so amazing! I first tried this recipe from I Heart Naptime over Christmas. I figured it seemed quite seasonal, gingerbread and all. Well, after my whole family fell in love, we decided these are the new chocolate chip cookies in our house. 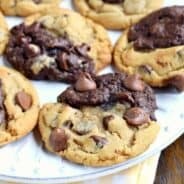 And that’s saying a lot as my husband and girls LOVE chocolate chip cookies! And if we’re being honest, I’m not really a gingerbread cookie person. I love gingersnaps, frozen (weird, I know). I love the crunch to them. But soft gingersnaps? No thank you. I’d rather eat these Gingerbread flavored Krispie Treats, or this Gingerbread Fudge! You could also make these Gingerbread Cookie Bars. Topped with a cream cheese frosting, what’s not to love? Until I tried this delicious cookie. And please, for the love of all things delicious, do not skip the white chocolate. It truly adds an amazing touch to an already wonderful cookie. 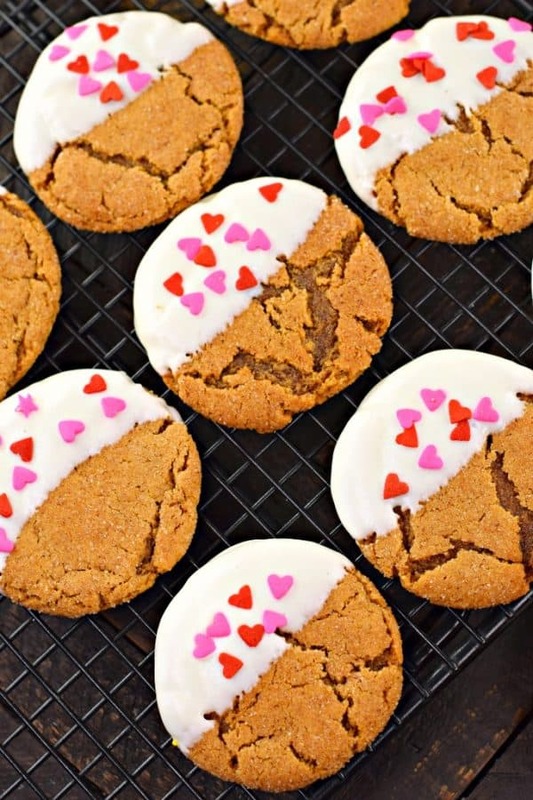 So, since it’s not really Christmas, and I probably shouldn’t be sharing a gingerdoodle cookie recipe in January, we dressed these cookies up for Valentine’s Day and Spring. I mean. Why not? Gingerdoodle Cookies are chewy, soft cookies that taste like a cross between a gingersnap and a snickerdoodle. Add this to your baking list ASAP! 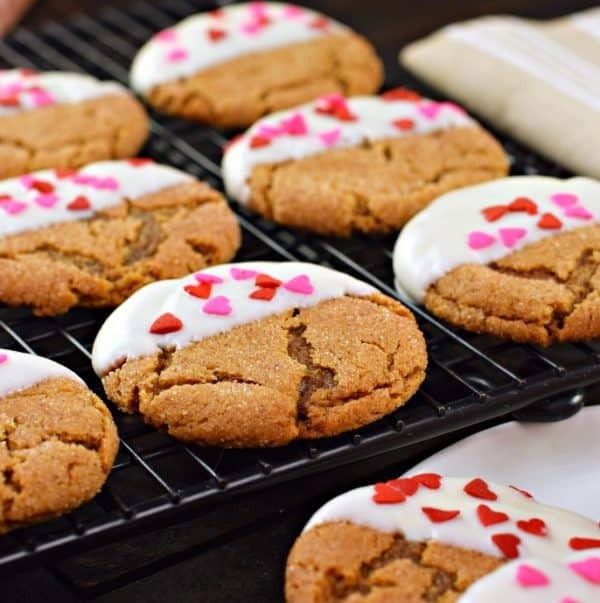 You'll love the texture of the cookies, but more importantly the molasses flavor with the cinnamon, ginger, and cloves is irresistible! Combine butter and brown sugar in a large mixing bowl. Beat together until fluffy. Add in the egg and beat until smooth. Add in the molasses and beat until well combined. Add the flour, baking soda, cinnamon, ginger, cloves and salt and mix until combined. Using a medium cookie scoop (or about 2 Tablespoons), roll the cookie dough into a ball. Place the granulated sugar and cinnamon into a bowl and mix together. Roll the dough into the cinnamon sugar. 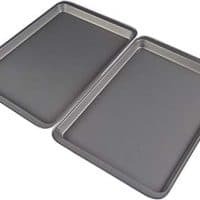 Place on the baking sheet, about 2 inches apart. 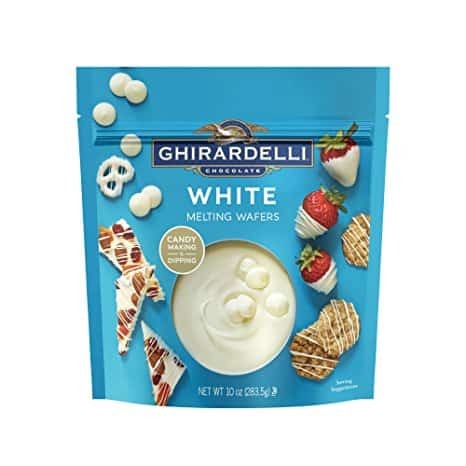 Melt white chocolate according to package directions. Dip half the cooled cookie into chocolate and return to parchment paper. Allow to set. ENJOY. 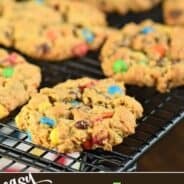 Cookies can be stored in an airtight container at room temperature for up to one week, or freeze until desired! I will pass on the sprinkles, don’t care much fir them, but the cookie sounds Awesome!! Is 2 tsp. baking soda correct? That seems like a lot to me. We don’t care for sprinkles either. Haha! Our son said he didn’t like the texture of them. I think they are cute though on cupcakes but don’t use them. Did this at the last minute for a cookie exchange in my office for Christmas. Boy were these a hit!! They can be dipped in the chocolate for extra sweetness and with or without sprinkles of the season! 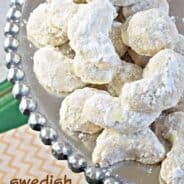 These cookies are GREAT with or without the chocolate. They are so soft & simple. Now I have to make them for my husband’s cookie exchange… (he tasted them and said this was my new cookie to bake ALL the time! – take THAT chocolate chips!!) Thank you thank you thank you for saving me!